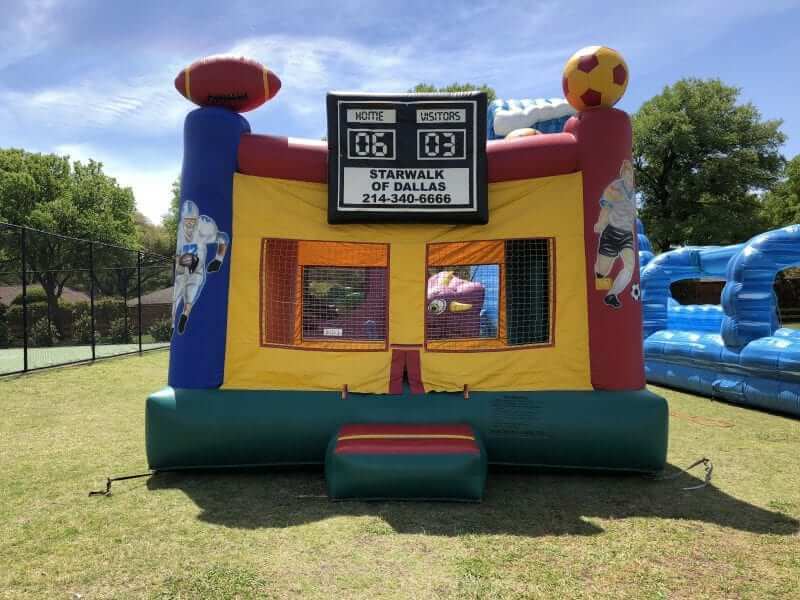 The Sports Bounce House Rental is a staple at every event with a sports enthusiast. Enjoy this basic jumper at your next event. On top, you will find soccer, football and soccer. There is also a big scoreboard on front. Inside is a colorful surface for jumping. 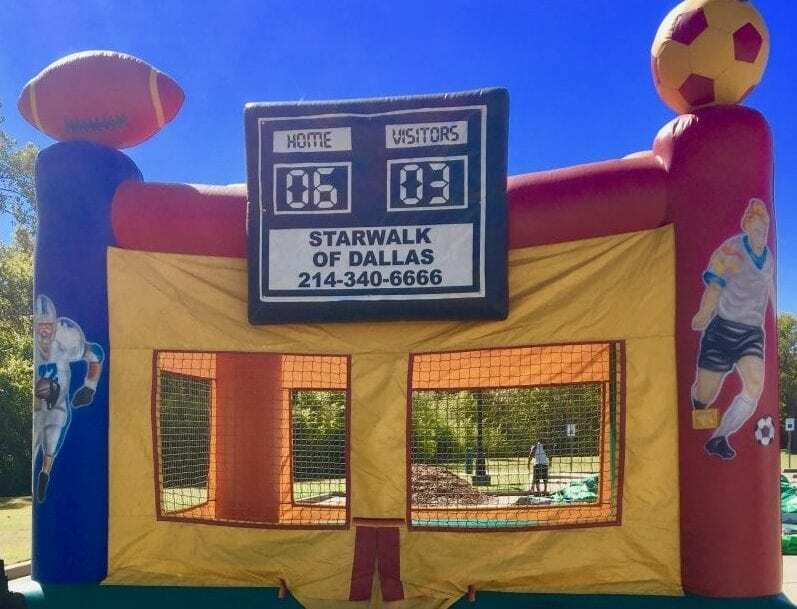 The Sports Bouncy House Rental is available in Richardson, North Dallas, Plano and Garland. We also delivery to Highland Park and University Park as well as Irving and Carrollton. Looking for a Sports Jump near me? We have you covered. This item is great a part of a larger package and expanded delivery area.